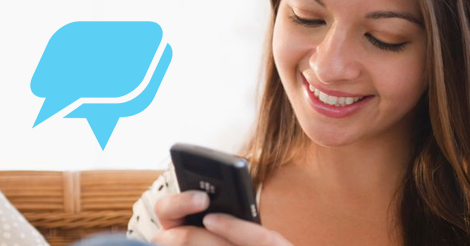 When it comes to SMS, if offers aren’t being redeemed, you’re totally wasting your time. Upon opening and reading your SMS campaign, subscribers should jump at the chance to claim their VIP discount. Having trouble getting started? Give these top SMS marketing offer discounts a try. This is a pretty standard promotion, and especially popular when it comes to the retail industry. Time to hit the beach! Stop by Julia’s today and show this text for one free bikini top with the purchase of a bottom at equal or lesser value. Unless you’re promoting overstocked product, most retailers choose to offer 10-30% off via SMS. The only time 50% is applicable and profitable is when you’re trying to get rid of old or overstocked inventory. Thank YOU for being such a loyal Sally’s shopper! Show this text TODAY ONLY for 30% off your purchase, no minimum required. We see restaurants take advantage of this promotion all the time. It’s easy to track, and convenient to redeem. Happy Friday! Stop by Steve’s Grill and show this text for one free cocktail with the purchase of any burger. Keep it simple with a dollar amount off. This discount works well with business owners in the food service industry. Who doesn’t love Friday Night Fish Fry? Stop in at Sandy’s and show this text for $3 off your dinner, TONIGHT ONLY. We’d love to be your SMS marketing provider. Seriously, we’re obsessed with helping small business owners grow their business, and we want to add you to our list of success stories. Give us a buzz at 1.800.688.6290 to learn more, or head over to our pricing page and sign up for your free plan. Our platform is packed to the brim with features, educational resources, and easy to use functionality.